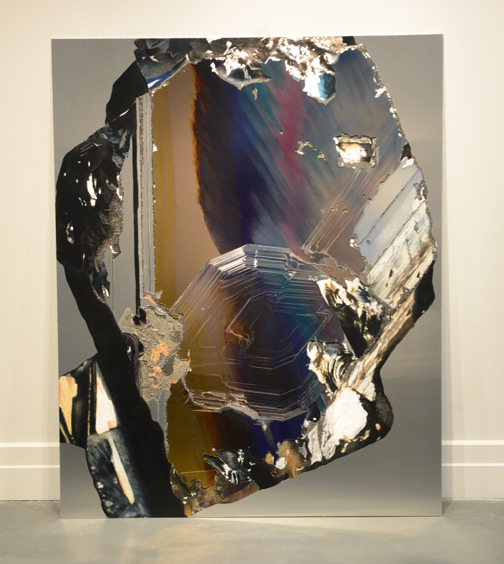 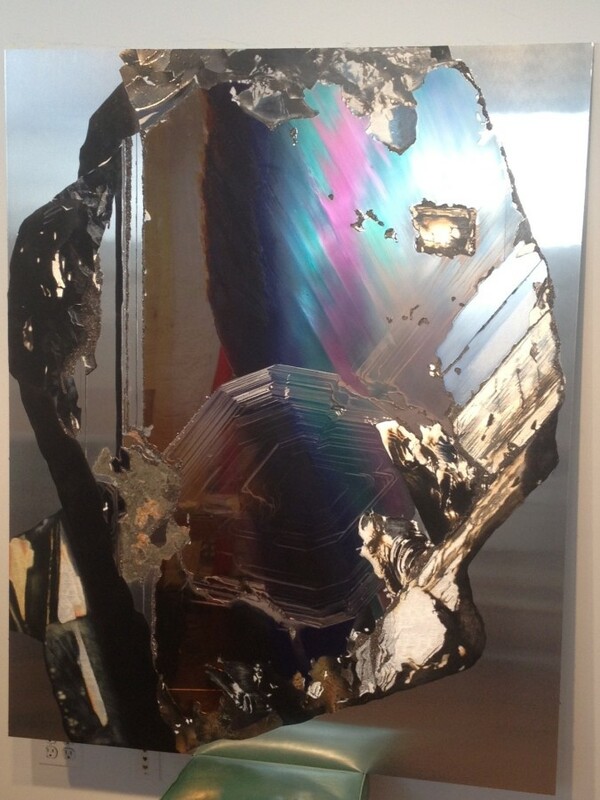 Using sheets of Plexiglas, inks, mylar, crushed glass, metal dust and engraving, Shows has reconstructed images of pyrite rocks – more commonly known as fool’s gold – on thin, reflective aluminum panels. 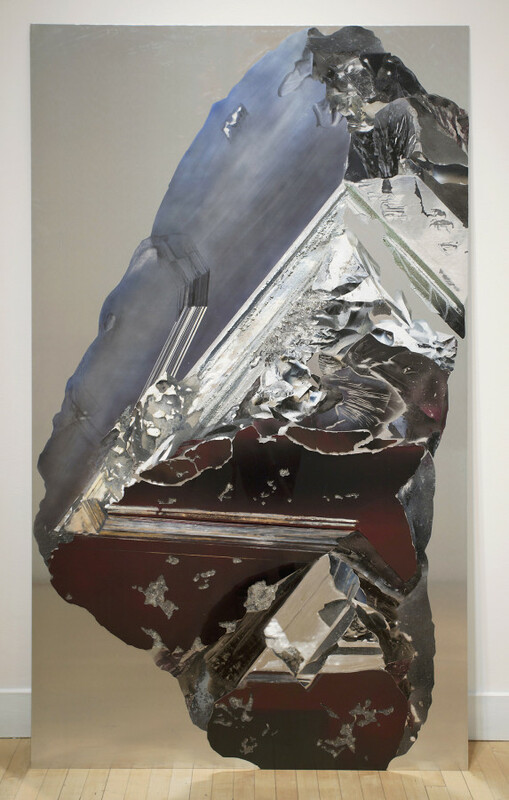 For Shows, the luminous reflectivity and multifaceted appearance of pyrite gives visual representation to her conceptual concern with the various lenses through which we understand objecthood. 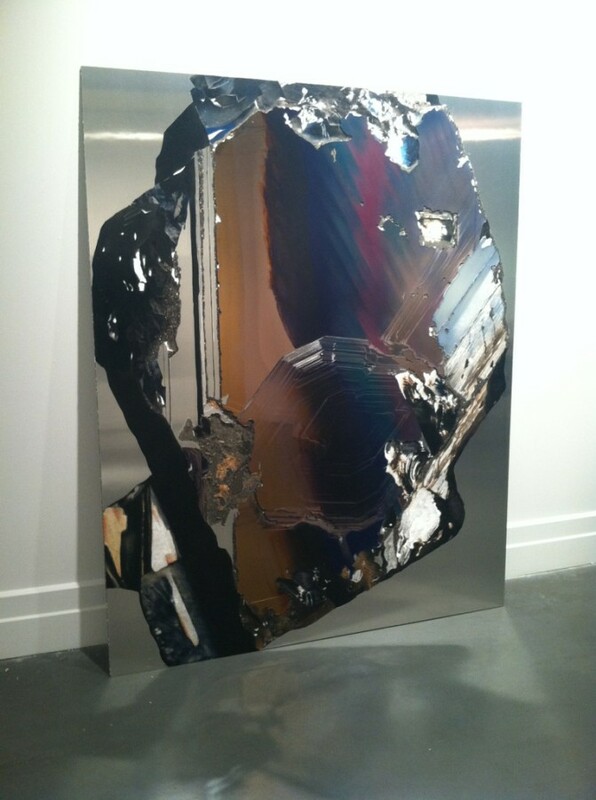 The resulting paintings appear abstract, yet are photo-realistically constructed.